The wonderful Factory Skirt remains a firm favourite in the realm of work-to-play – it joins in with whatever you invite it to! We love it with the Line T for a slouchy silhouette but it also looks gorgeous with a slim fit layer and a pair of block heels. 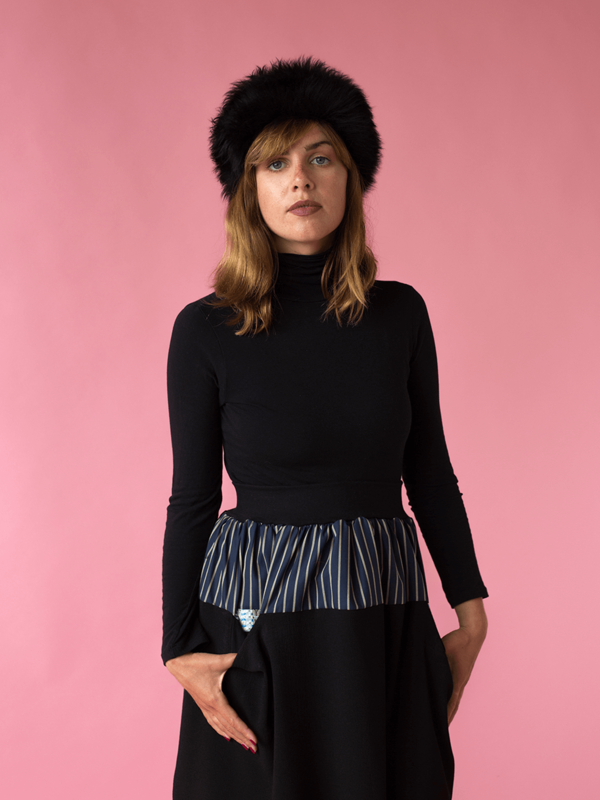 Black crepe fabric swishes around the bottom of our full skirt, a woven navy cotton cloth with a pale gold stripe forms the top panel, gathered onto the black cotton jodhpur waistband. 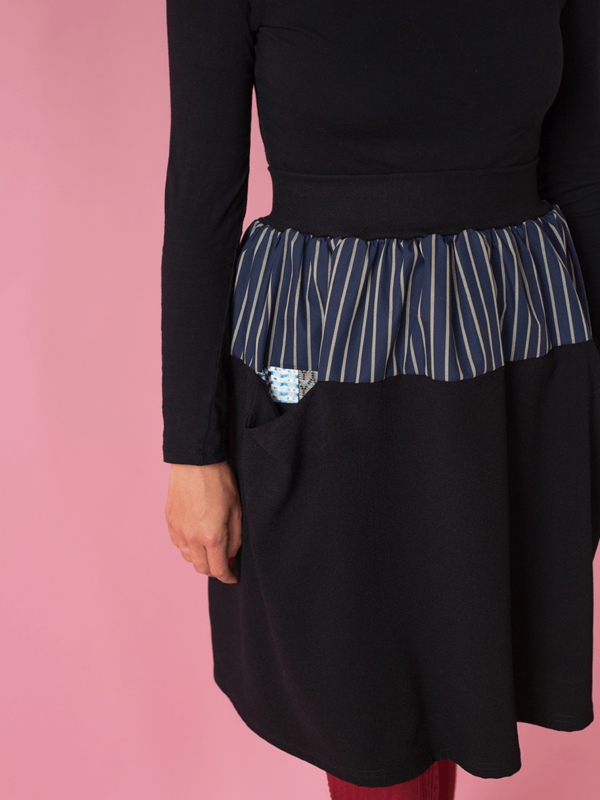 Our new detail in the front panel is sewn from sample swatches of woven silk made by the weave design studio in our building in Bristol - visible thanks to the slouch pockets in the front of the skirt. 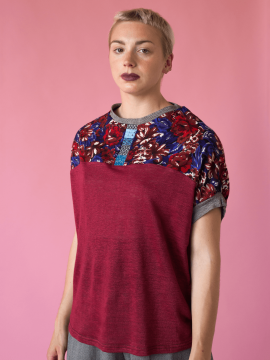 The rest of the pocket is our soft organic cotton jersey. Want a contrast pocket? We can do that for you! See what we can do for you by contacting us here.